Both Obama’s record and the results of past immigration “reforms” paint a bleak picture. First, this administration does not have a reliable record of living up to its policy promises. Obamacare — a similarly huge bill that few had read — was sold to Congress and the public on the assurance that its enactment would lower insurance premiums. As it begins to take effect, even its principal architect, Senator Max Baucus, has called the program a “train wreck.” Most neutral observers believe that insurance costs will escalate rather than dive; indeed, they are already doing so in anticipation of the bill’s full implementation. One of the selling points of the $831 billion stimulus bill of 2009 was that, according to administration economic advisers, unemployment would exceed 8.5 percent without it. Of course, after its passage the jobless rate soared over 9 percent, eventually reaching 10 percent. But if the stimulus did little for most Americans, special interests cashed in. The president’s expansionary budget policies were supposed to halve the deficit by the end of his first term; instead, the deficit doubled over those four years. Abroad, five deadlines for Iran to cease and desist its nuclear project were accompanied by the expansion of its centrifuges. Syria’s Bashar Assad has been ordered by President Obama to step down and leave — about as often as his employment of WMD represents a red line that cannot be crossed. In other words, if the past is any guide, do not expect facts to follow rhetorical promises. Instead, expect more illegal immigrants, without much worry, and without even any memory that the bill was sold on false premises. #ad#Second, this administration feels that law is a fluid concept, the degree of enforcement predicated on perceived social justice. Bureaucrats and judges are always more humane adjudicators than the legislators who drew up the laws or the voters who elected the legislators. Who is to say that Black Panthers were at a polling place in order to intimidate voters, so why pursue a criminal complaint against them? Was not the Defense of Marriage Act an unsophisticated, silly law? Why, then, enforce it? Those who use medical marijuana should not really be in violation of federal laws, so why harass them? If the No Child Left Behind statute is deemed unfair to some states, then do we really need to follow the letter of the law? In sum, when President Obama finds some provisions of the new immigration bill bothersome or politically unsavory — and he will — expect that they will go the way of the Defense of Marriage Act. In this case, ignoring the law will be justified by the tendency of Obama’s “enemies” to do things like arrest the innocent on their way to buy their kids ice-cream treats. Third, the recent history of immigration legislation is one not of the rule of law, but more of popular pressure and politics. The Simpson-Mazzoli compromise bill (the Immigration Reform and Control Act of 1986) was predicated on the bargain that in exchange for blanket amnesty for 3 million illegal immigrants, liberals would honor their half of the bargain by following through with closing the border. Instead, illegal immigration soared, as word got out that the amnesty was accompanied by a de facto open border. In 2006, President George W. Bush signed the Secure Fence Act, whose professed intent was the completion of the border fence, but which was almost immediately encumbered with a number of waivers that postponed any action. During the election year 2012, President Obama chose to ignore the removal provisions of the Immigration and Nationality Act, ordering that almost 2 million illegal immigrants not be deported. In other words, although Congress had not passed the so-called DREAM Act, Obama essentially enacted it anyway by executive order. Again, if the past is any guide, anything in the new immigration-reform bill that seems advantageous to the administration will be deemed “fair” and “just” (e.g., amnesty), and what is deemed illiberal (e.g., some deportations and the closing of the border) will be nullified through a maze of waivers, court actions, and enlightened non-enforcements. Expect lots of DREAM Acts, and not a single non-DREAM Act. As in 1986 and 2006, the people will believe their politicians that the passage of the new immigration bill will at last solve the problem of millions of foreign nationals living illegally in the United States. But the current bill was never intended to do that. Instead, lofty verbiage about qualifications for amnesty, penalties, and border security were inserted into the bill only to gain its passage. These bothersome elements will have as much long-term currency as similar provisions in past immigration bills have had — as President Obama follows his well-known pattern of enforcing laws he agrees with and ignoring those he does not. About 24 hours after passage, we will hear from activists that we do not need to erect a “Berlin Wall” on the border, much less to transform Immigration and Customs Enforcement agents into veritable “Brownshirts.” The familiar slurs of “racist,” “nativist,” and “xenophobe” have not let up, and they will only increase amid court challenges, executive noncompliance, and administrative waivers. For those aliens who have committed crimes and find themselves ineligible for amnesty, expect outcries about the cruel and unusual nature of any pending deportation. And who is to say that a DUI, given the varied circumstances of these infractions, is really that serious an offense? As for those foreign nationals who were said to be ineligible for public assistance, do we really wish to cut off the helpless or deport the lawbreaker? Ask Obama’s Aunt Zeituni and Uncle Onyango. As far as legal immigration goes, do we wish to discriminate against the poor and oppressed of Latin America, mostly kin to those already living in the United States, by rewarding affluent and educated foreigners with a fast track to legal residency? If fines and fees are leveled for supposed past infractions, can there not be exemptions and public subsidies for those who through no fault of their own are insolvent? In short, the immigration bill is not the end of the problem of massive illegal immigration, but rather the beginning of yet another long chapter in the subversion of federal law for patently partisan political purposes coupled with economic exploitation. No wonder our elites wink and nod at the supposed realities in the current immigration bill, while selling fantasies to the majority of skeptical Americans. 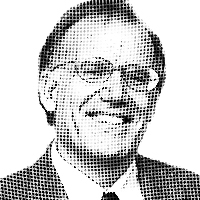 — NRO contributor Victor Davis Hanson is a senior fellow at the Hoover Institution. His The Savior Generals is just out from Bloomsbury Books.